Blog - The Queen's Beast Unicorn Is Here! The newest release in the United Kingdom's Queen's Beasts series is finally here! 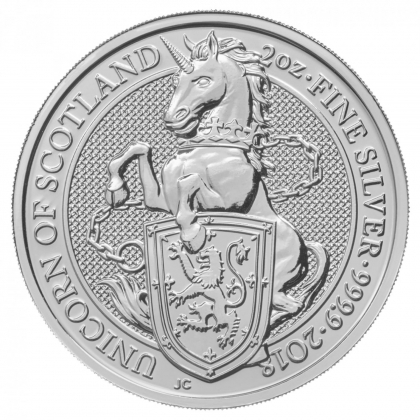 The gold & silver Unicorn of Scotland coins are due to be released next week and Monument Metals is proud to bring this beautiful new coin to you at the lowest prices online! 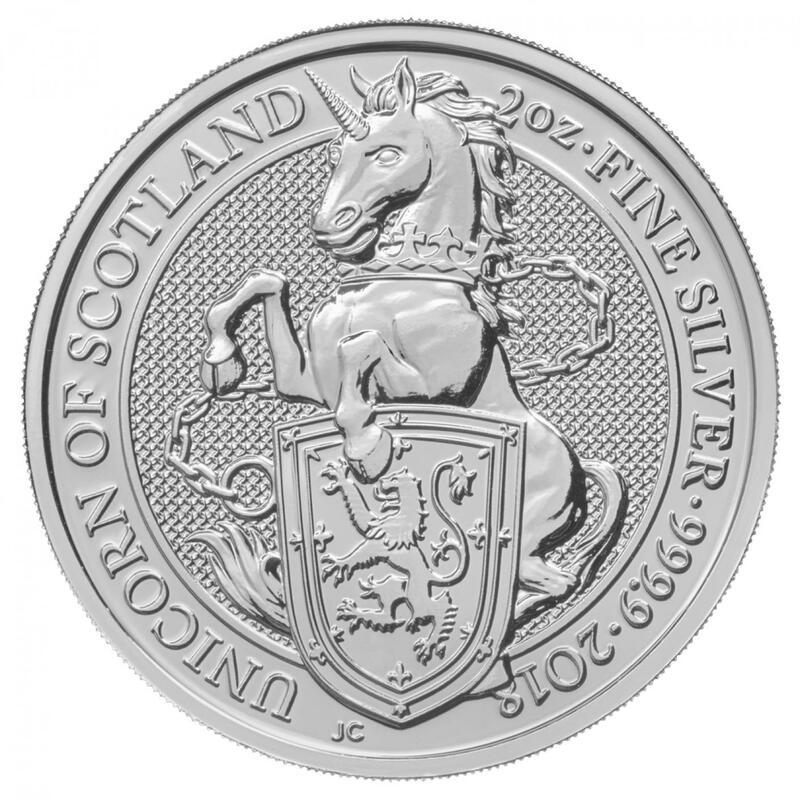 As the fourth release of a ten coin series, the gold and silver Unicorn of Scotland will be minted in three sizes: 2 oz of silver, 1 oz of gold, and 1/4 oz of gold. The Royal Mint has set a tenative schedule of releasing two of the beasts per year, with the Unicorn of Scotland being the first to be released with a 2018 date. Since being introduced in early 2016, the Queen's Beasts series has proven to be one of the most popular modern bullion issues and is renowned for its quality and beautiful designs. Inspired by ancient symbols of power and identiity, the collection brings to life the ten imposing statues that lined the entrance to Westminster Abbey in 1953 at the coronation of Her Majesty The Queen. Acclaimed coin designer Jody Clark is responsible for the design of this piece and has been instrumental in all of the Queen's Beasts designs. Due to the popularity of this collection, these coins are expected to sell quickly. Monument Metals is offering all three sizes of the new 2018 UK Gold & Silver Queen's Beasts Unicorn through a special presale. We are making these coins available at low prices for any size order. Get yours today!